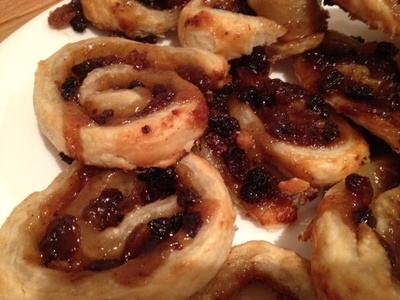 Mince pies are a traditional treat over the festive holidays. 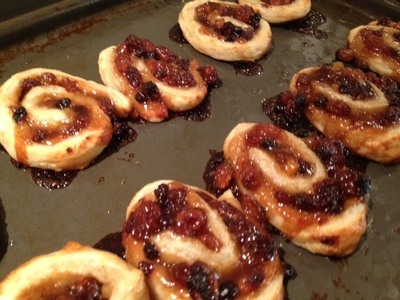 These pinwheels are inspired by these tasty morsels and the kids can get involved making them too. 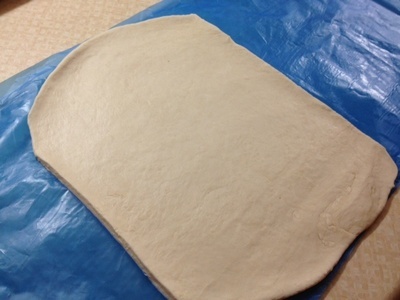 Lay out the puff pastry or roll out into a rectangle if you can't buy it ready rolled. 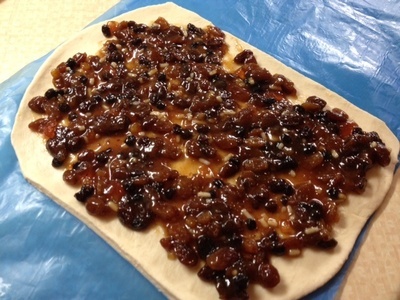 Spread the mincemeat over the pastry, keeping it just one raisin depth. Don't be tempted to spread to thick. 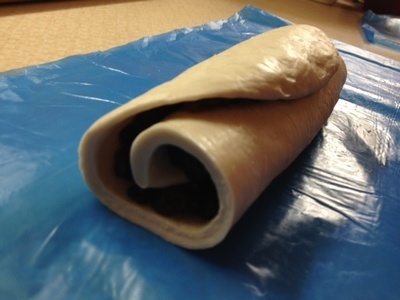 Roll up the pastry starting from one short end. Slice across about 2cm thick. Place on an oiled baking tin. Flatten the pinwheels slightly and place in the oven for 15 to 20 minutes until golden and bubbling.